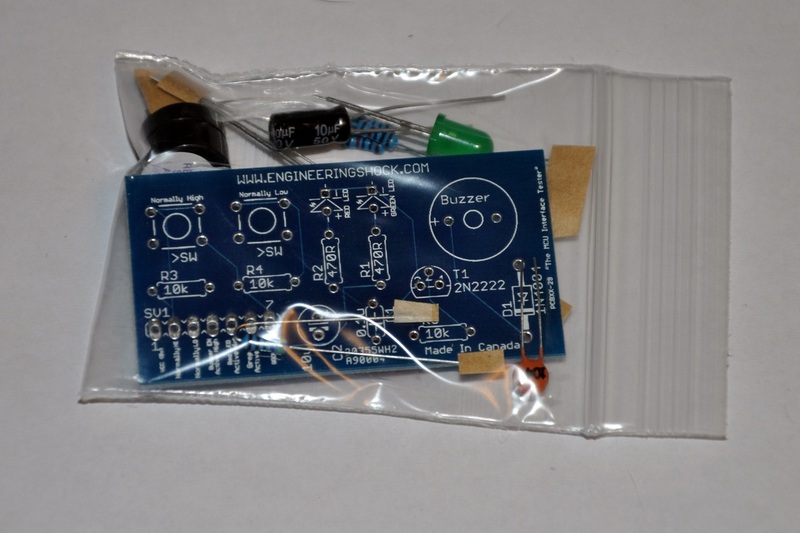 This listing is for a DIY troubleshooting kit. When assembled, this board has three input indicators, and two output options. The input indicators are two LEDs; one green and one red, and a transistors activated 5v piezo buzzer. The output options are two buttons; one is normally high (5v) until pressed, at which point the output goes low (0v). The other button, which is normally low (0v) until pressed, at which point the output goes high (5v) until the user lets go. The circuit requires 5v to operate. There are 7x solder-able pads on the board; each of which are talked about in the video. The above video gives you a demonstration of each function, and also shows you how to assemble the kit. The video is your instruction manual when you purchase this kit.